It is time to bring significant reforms to the guardianship system in Nebraska. It is well-established that the state can establish a legal relationship where an individual deemed “incapacitated”, unable to make decisions for himself or herself, can have a court appoint a guardian to make decisions for them. The court can convey power to the guardian to not only handle decisions regarding money and property but also the most personal of decisions. A guardian can be given the power to decide where an individual lives, with whom they can associate, if they will receive medical treatment; basically, how they will live and enjoy their life. While there may be natural incentives for family and friends, who know the person well, to assume a guardianship role for an incapacitated person, the situation is much more difficult when the incapacitated person has no family or friends willing to assume a guardian role. Guardianship involves significant stakes for individuals. It directly involves the most significant aspects of an individual’s life and that person’s civil rights. 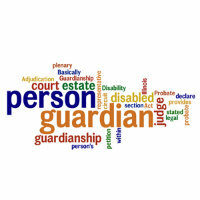 Guardianship can be a “double-edged sword”. On the one-hand it protects vulnerable adults who are unable to make decisions for themselves. On the other-hand at the same time it removes basic fundamental rights of the individual. Nebraska has an extensive body of law relating to guardianship. But if those laws or the intent of the law is not given due consideration, the balance between protecting the vulnerable individual and preserving their fundamental rights as a person and citizen is lost. Recently, Disability Rights Nebraska discovered that the law to protect a vulnerable person from being placed in a situation where the balance between their interests and the interests of a paid service provider was ignored. Nebraska law clearly prohibits the owner of a facility where a resident lives or receives services from acting as guardian of that resident. In our work monitoring programs and facilities serving people with disabilities we uncovered a problem in Webster County Nebraska. On July 19, 2013, Michaelle Strickland, a part-owner of Spring Creek Home, L.L.C., an assisted-living facility for individuals with mental illness located in Inavale, Nebraska, was appointed guardian of six people residing at the facility. The guardianship appointment for all six residents was made by the Webster County Court. According to public records filed with the State of Nebraska, the facility’s corporate documents list Strickland as an owner of the facility. As the partial owner of the facility, Strickland is prohibited from being the guardian of anyone living at the facility she owns. In response to these concerns, and because there was a clear violation of the law, Disability Rights Nebraska filed documents with the Webster County Court on December 16, 2013 challenging Strickland’s appointment as guardian. On December 24, 2013, the Webster County Court suspended Michaelle Strickland as the guardian for five of the six individuals. Strickland’s guardianship over one of the individuals was not suspended because that individual no longer lives at Spring Creek Home so there is no longer a conflict necessitating termination of the guardianship. The Court has appointed a guardian ad litem who will assess each vulnerable individual’s situation and report back to the Court. A temporary guardian for all five was also appointed. The temporary guardian has limited authority to make decisions for the individual until the Court makes a final decision on the need for a guardian. A hearing is scheduled on March 21, 2014 for four of the individuals (one unfortunately died in early January after Strickland’s guardianship was suspended). It is likely that the Court will terminate the four remaining guardianships. A limited review of the literature on public guardianship with recommendations for Nebraska policy reforms.